How to do eagle pose. The first time I ever did chin stand was when I realized that visualization really works. This was a pose I visualized I could do but really have no idea how to get into it. In the yoga classes I had been attending, we never attempted any arm balances aside from crow so I felt I was in the dark. However, I knew my body could get into the relative shape. So I just visualized it and the next thing I knew, there I was. PSA: Don't forget about the YBC Official App! You can download it and take YBC yoga vids with you anywhere you can cell service. And, we just announced our Costa Rica jungle retreat for November! Hope you'll join! Aside from flying pigeon pose, eka pada koundinyasana 2 aka split leg arm balance was another pose that totally seemed way over my head. I could get into lizard pose, but from there I couldn't, for the life of me, figure out how to lift that front leg. For years, this was a pose I dreamed about being able to do. I'd try to lift that top leg and it wouldn't budge. It was sort of funny, thinking back - I mean, I would be trying with all my might to lift that top leg......and nothing! PSA: Don't forget! YBC weekend yoga retreats are happening this month and next in NYC and Utah. I'd love to have you join us! We also have an opportunity to do a little YBC tour through Australia. If you're interested in a retreat or workshop, let us know. And lastly, the fall YBC Mantra Box, a healthy living subscription box, is available for pre-sale. Snag yours now while supplies last! There are certain poses in the practice that just make me feel so happy and wild thing is one of them. It just feels so good in my body when I practice this pose. I love the fact that it incorporates a heart opening backbend with expansion from the fingers to the toes. It's for sure a current favorite of mine. But it hasn't always been. Hola! Headed to Morocco today, which is the first step in crossing off a big bucket list item: visit Africa. Obviously Africa is huge, and there is so much more to see, but Morocco is in Africa, so it's a baby step. 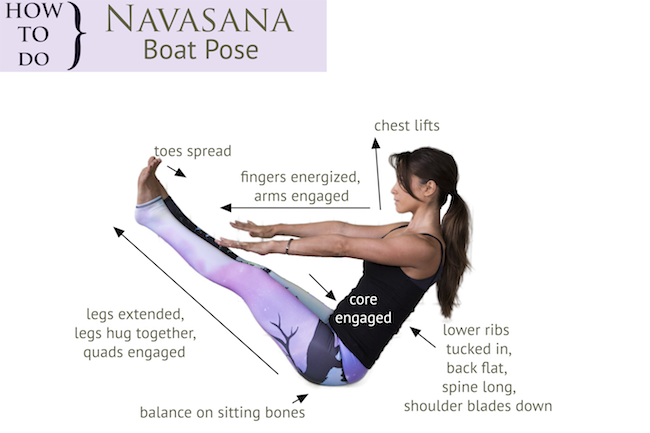 Anyway, today I'm sharing my tips for how to avoid the common mistakes I see in navasana (boat pose). This is a great pose for strengthening the core, and used to bring me a lot of rage, if I'm being honest, haha. It also strengthens the hip flexors. If you're a beginner, just bend your knees and take the shins parallel to the floor. If you're intermediate, keep working toward extended legs and keep the chest lifted. The chest caving is usually the first thing I see when form is compromised. Hope your week is starting off on the right foot! Today I want to bring it back to basics with a common mistakes pose in warrior 2. Today I'm comin' atcha with a good ol' hip opening pose. This one is tough for a lot of people because it requires flexibility in the calves and openness in the hips, which is why I wanted to create two graphics to show both the full expression and the modified version. For the 31 Day Strength Project, many people chose baby grasshopper and regular grasshopper as their benchmark poses so I thought it'd be an appropriate time to bust out the how to's for the latter. Good morning from Germany, my friends. I'm so pumped because this morning I finalized plans for a long weekend summer retreat and I cannot wait to share details. Look for them in early January, or click here to be notified early when the 2015 schedule is ready to rock and roll. Today we're talking about hollow backs. They're a recent favorite of mine because they feel so amazing. 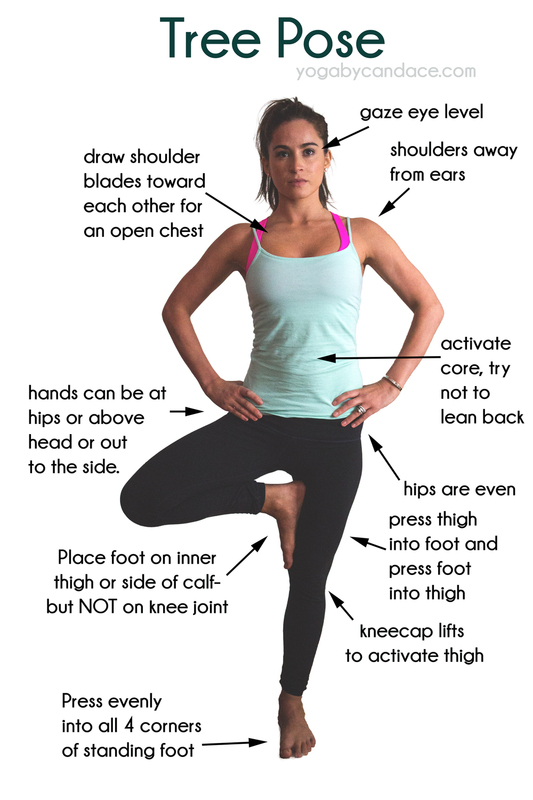 This pose right here is for my people with tight legs - you know, the ones who sit for long periods of time throughout the day, or who are on their feet all day, or the athletes, or the sedentary people - ok, let's revise. 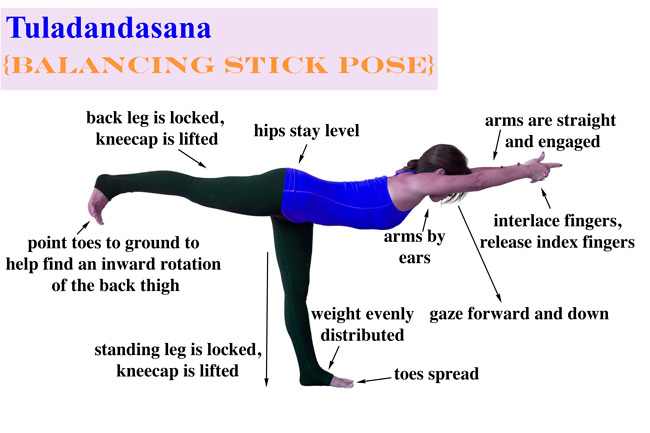 This is a pose that is beneficial for everyone. This is one of my absolute favorite poses because it feels so good on the whole spine, but in particular for the upper back. Ah, the supine spinal twist. This bad boy is always a class favorite. It's excellent for digestion, as it compresses the releases the internal organs, providing a gentle internal massage, and it's a great feel-good, total body stretch that opens up the back, shoulders, chest, and hips. This pose is always a class favorite. It's kind of weird to get into, which is why the video below may be helpful, but it feels so good once you're there.